Alexa Fluor® 568 phalloidin is a high-affinity F-actin probe conjugated to our superior Alexa Fluor® 568 dye. Alexa Fluor® 568 dye is photostable and brighter than other red-orange fluorescent dyes like Lissamine rhodamine B and Texas Red-X dye. Phalloidin is a bicyclic peptide belonging to a family of toxins isolated from the deadly Amanita phalloides "death cap" mushroom and is commonly used in imaging applications to selectively label F-actin. Fluorescently-labeled phalloidin has virtually identical binding properties with actin from different species including plants and animals. 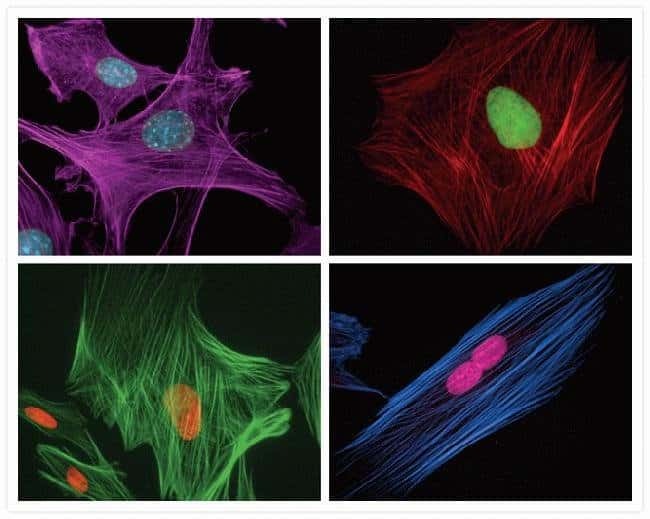 Phalloidin binds F-actin with high selectivity while Alexa Fluor® 568 provides red-orange fluorescence of unparalleled brightness and photostability. Demonstrating very little nonspecific staining, Alexa Fluor® 568 phalloidin allows high-contrast discrimination of actin staining. 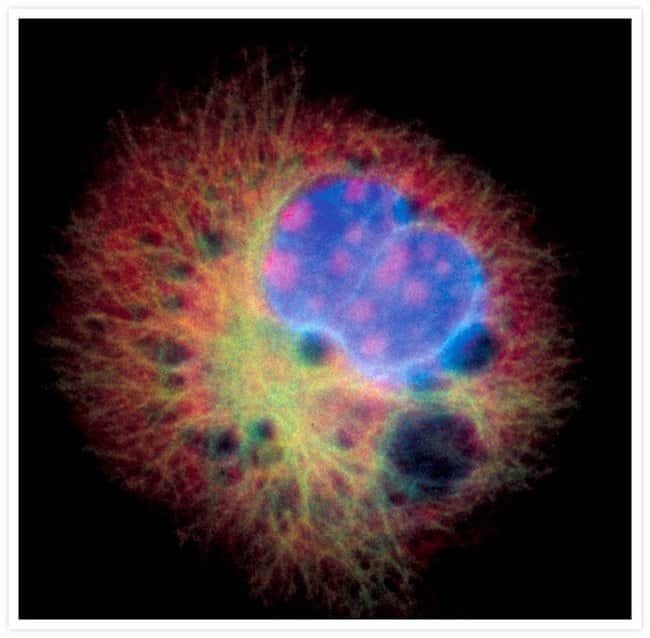 Alexa Fluor® 568 phalloidin can be used to visualize and quantitate F-actin in tissue sections, cell cultures, or cell-free preparations. Alexa Fluor® 568 phalloidin staining is fully compatible with other fluorescent stains used in cellular analyses including fluorescent proteins, Qdot® nanocrystals, and other Alexa Fluor® conjugates including secondary antibodies. • Read about labeling F-Actin with phallotoxins. • See the full line of Alexa Fluor® Dye products. • Create a Cellular Masterpiece with Alexa Fluor® Phalloidin using the Cell Paint Tool. Cryostat section of mouse kidney. FluoCells® prepared slide #3, Alexa Fluor® 488 wheat germ agglutinin, Alexa Fluor® 568 phalloidin and DAPI. 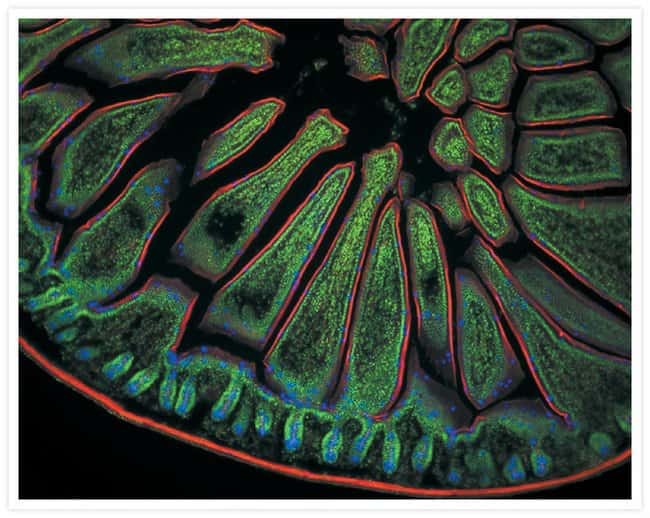 Multicolor fluorescence image of mouse intestine cross section. Mouse intestine. FluoCells® prepared slide #4. 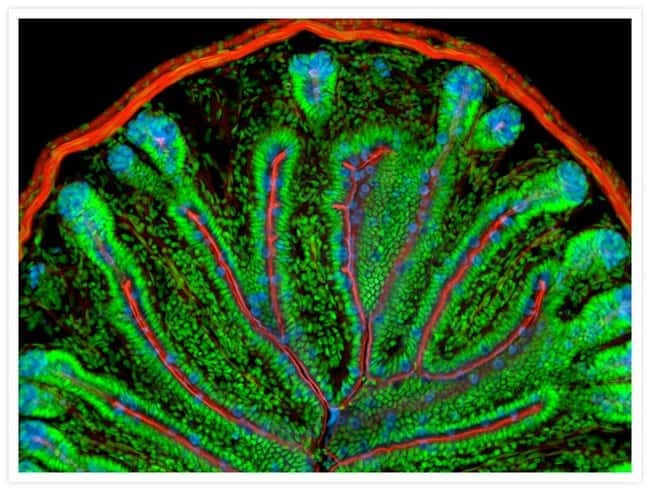 Multicolor fluorescence image of mouse testis cross section. 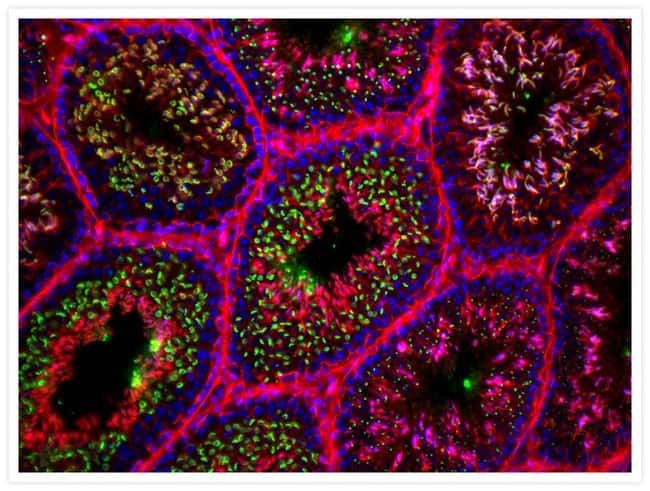 Mouse kidney cryosection stained with the Alexa Fluor® 488 conjugate of lectin PHA-L and Alexa Fluor® 568 phalloidin. 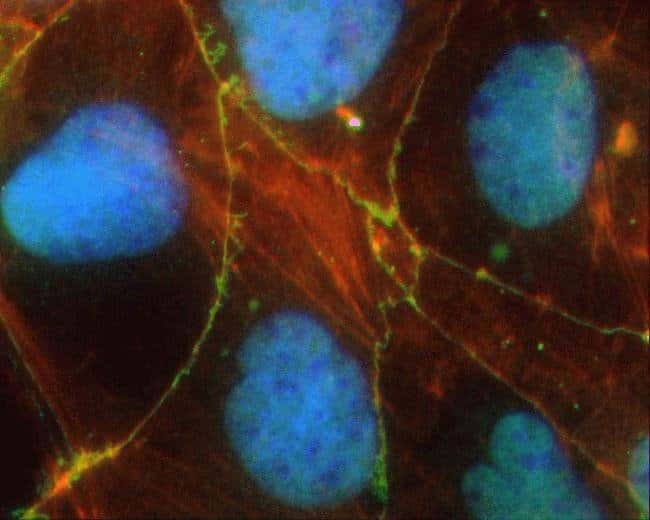 Fixed, permeabilized bovine pulmonary artery endothelial cells visualized using components of the SelectFX® Nuclear Labeling Kit and Alexa Fluor® phalloidin conjugates. Mouse kidney section. FluoCells® prepared slide #3. 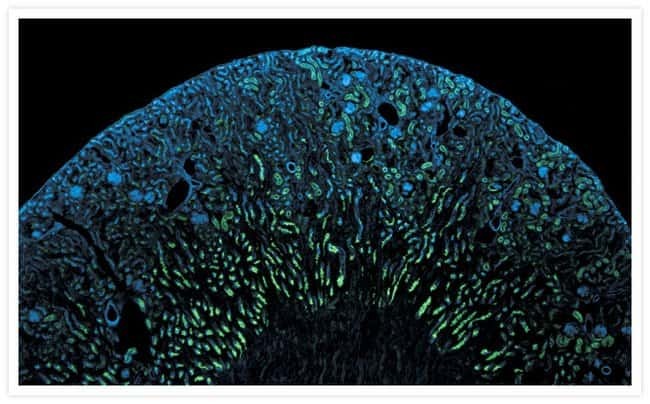 A section of mouse intestine stained with a combination of fluorescent stains.